This, of course, was a Star Wars creative writing and art workshop. 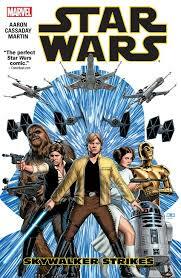 Using graphic novels and the original movies as the starting point, the six Padawan writers were guided through the process of turning an idea (and enthusiasm) into rich, controlled story telling whilst also experimenting with simple illustrations. And worthy of Master Yoda, the results were. Over the next week, I will post a series of short articles explaining how Star Wars in the classroom can turn your most wayward apprentices from scruffy-lookin’ nerf herders into Jedi Masters in the blink of a Gungan’s eye. EPISODE I - Enter our reluctant heroes...The boys chosen for this workshop could be described as ‘reluctant’; it’s an easy word to use in Teacher Land to describe children who find our literacy lessons boring. Indeed, one boy readily announced: “I hate literacy” within five minutes of our first meeting, a sentiment that drew nods of support from the rest. When it comes to Star Wars however, they were anything but. Rather than reluctant writers, this rebel crew could more accurately be described as ‘fervent’, ‘avid’, ‘keen as mustard’ and anything else the thesaurus can suggest. How did this workshop bridge that gap? It is Star Wars! It is hard to find decent Science Fiction texts to use with children. Many of the good, geeky, technical books can be too hard for primary school and the readable ones such as The Way Back Home don't have much science in them. 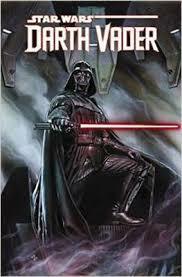 The graphic novels I chose - Skywalker Strikes and Vader - were (mostly) readable AND full of action, even if some of it was a bit bloodthirsty. They were a tough and gritty read for Year 5 but that is, it seems, exactly what this group has been waiting for. By following their interest and neatly riding the crest of the wave following the release of the Force Awakens rather than struggling to encourage them to put pen to paper, the challenge was getting them to stop writing which is, I’m sure you’ll agree, a much nicer problem. Next time... Developing sci-fi vocabulary and not worrying about the children being the experts!